Purpose: The article problem of the essence of technics in the Martin Heidegger’s and Friedrich Georg Jünger’s philosophical concepts are considered and compared. Particular attention is paid to the question of the transformation of the essential characteristics of the human in the age of modern technology, the question of existential meaning of technics. Methods: The comparative method in the research process is applied. Topical method of analysis and presentation of the material is used. Conclusions: Designed by Heidegger and Junger interpretations of technics are qualify as “existential philosophy of technics”. The question of the transformation of human self-understanding in the technical era and the question of social and anthropological consequences of technological progress are in the foreground in Heidegger’s and Jünger’s concepts. The common features of discussed concepts: the criticism of the instrumentalist interpretation of technics, understanding technology as a means of human existence, the awareness of technics as a “fate” and the danger threatening the human creature. 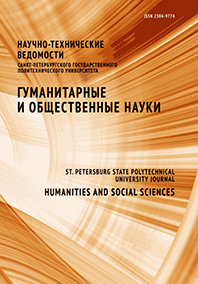 Application: Article material may be used for the analysis of the specifics of modern technological civilization in the context of philosophy, cultural studies and sociology.